My video lighting keeps changing, how can I fix this? 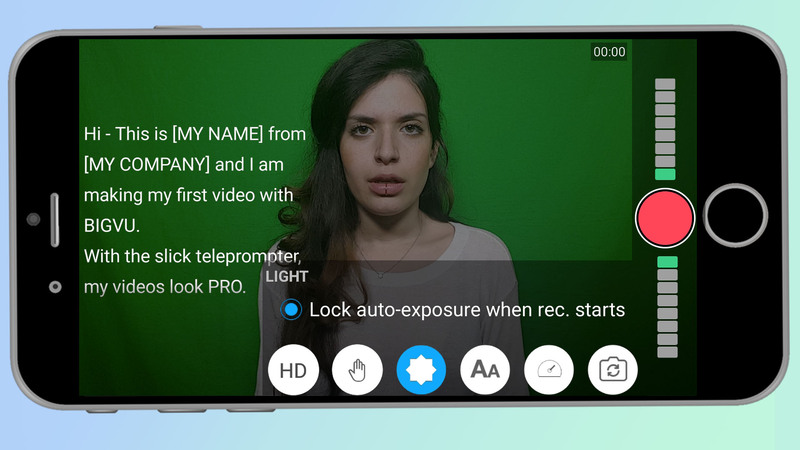 As smartphones automatically adjust exposure levels while recording, the lighting of your video may change randomly. With the new BIGVU platform, we’ve added a ‘lock auto exposure’ feature that lets you fix the lighting as soon as you start recording. Simply click on the light setting at the bottom of your and select "lock auto-exposure". This will lock in your exposure values so your lighting remains consistent throughout your video recording.